The ADHD brain is supremely tuned to respond well to novelty and excitement, but is an exceedingly poor performer when things get routine, predictable, and yes, boring. Our lives are like the movie, Ground Hog Day, and many of us have similarities to the character played by Bill Murray. When the same stimuli come at us day after day, we actually can persist in extraordinary ways, but only when we have something extraordinary, like Andy McDowell in the movie, to motivate us. I have had two books published and let me tell you, ADHD and finishing anything, let alone a full-length book, do not go well together. The only way I finish things is, first of all, to complain to lots of my friends about how horrible it is that I cannot finish anything. They yell at me and this helps temporarily keep me on track. Then I get embarrassed and ashamed the next time I fall into a funk, and often choose to suffer in silence, rather than get yelled at again. The cycle repeats. But I also have a big bag of tricks that, while they do not always work, sometimes have the power to pull me out of the apathetic funk I struggle with each and every day. Trick #1: Back Away from the Computer. This one is simple; even though I am in funkland, there is a voice inside of me that says, “You can get out of this.” The first step is to listen to that voice and leave the computer. The cyber world to an addiction-prone ADHDer like me is a sweet candy that when I overindulge puts me in a cyber-coma. When I am sitting in front of the screen, I can cyber-meld; my anxiety and frustration temporarily vanish. But I get nothing done, and end up feeling like crap later on. GET AWAY FROM THE SCREEN. NOW! When I hear that voice, it’s time to move. I have to get up immediately and just interrupt the pattern. Here are a few activities I might do at that time: drive to Tim Horton’s and get a coffee; take a 20-minute, fast-paced walk, the whole time brainstorming ideas and taking notes on my phone (My brain seems to work better in motion); go to the food court at the local mall with a notebook and write down whatever comes to mind; drive to the Detroit Institute of Arts (Diego Rivera is an old reliable source of funk busting for me). JUST BREAK THE PATTERN AND MOVE. Trick #3: Phone a Friend. I am often at my worst when I am isolated and alone, yet for some reason, I resist reaching out. I am going to take this opportunity to admit that the old AT&T jingle, “Reach out, reach out and touch someone,” used to make me cry. I think I had such a strong emotional reaction because I have a hard time reaching out. I still struggle with this, but when I get over whatever it is that happens to be holding me back, calling a friend works because I often get my greatest creative developments when I am sharing my ideas with someone else (don’t share your ideas with people who bring you down, which is what I used to do). If you want to succeed with ADHD, you need support, and plenty of it. SUPPORT. SUPPORT. SUPPORT. Trick #4: Use Your Anger. People ask me how I, a highly distractible adult with serious problems of persistence, managed to complete two books and get them published. The answer is simple: anger. ADHD people, we have anger and frustration in overabundance. Those emotional experiences, however, represent energy. We have to learn to use that energy to our advantage. While I am willing to admit my shortcomings, I have become a master of channeling negative emotional states. My good friend, Doug, who I grew up with, said, “When you do dishes, clean your house, or any mundane job, it is as if the task is an enemy, someone you hate and who you can vanquish if you just put all of your energy into it.” Negative emotional states are opportunities. CHANNEL YOUR EMOTIONS TO GET THINGS DONE! Trick #5: Stay on Target. • You’re almost done, why don’t you just play a video game and then you can come back to it. • Five tricks might be too many for one blog post, maybe you should cut it to four. • This is a great start, and you never finish anything the first run through. TAKE A BREAK. • I wish I was in London right now. • I hate cold coffee. This is what happens to me. I call it “snatching defeat from the jaws of victory.” I have that saying posted on the wall and am looking at it right now. I have it there to remind me that this is what I have done time and again in my life. When I look at that saying, I am reminded of all the great ideas that I did not bring to fruition, which then irritates me. Right now, I am channeling that irritation back into this writing. STAY ON TARGET! In the coming weeks, I will be elaborating on each of these points. My intention is that I will support you in your own productivity by honestly sharing the pitfalls in my own life. I am not a guru; I am a fellow traveler who likes to compare notes with others! Johnny, thanks a lot for your comment!!! My brother is also a carpenter, and he tells a story similar to yours. I also use anger and frustration to propel me. My next book is coming out in April, and I actually discuss at the end of that book a coaching client of mine, a carpenter, whose story is also similar to yours. One of the things that keeps him going is volunteering with neighborhood fix-up programs; he loves helping others. 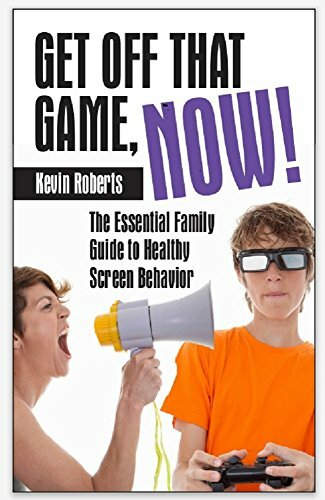 I am researching ADHD for a consulting project I am working on and came upon your site today. Seriously I think I could have written the above comment by SquirrelyGirl (same age, same issues) and am beginning to wonder …..is this actually me too? I think I will be reading a lot more of your site in the next days! Thanks Katie! Somehow, your comment went to spam, and I just got this. I apologize for the delay. Kevin – you are on my blog as the poster boy for adhd – a post I wrote after I saw you speak in London and Liverpool. Now, the reason I am writing to you is because I know in one of your books you wrote about how adhders seem to succeed best when helping others, and I wonder if you had any brain or behavioural science on that – or even a quote I could use for a book proposal I am doing. Emma, I am going to email that reply. Thank you, Kevin! I got pointed here by someone on a forum and I am so glad I happened to see that reference! At 49, I have not been officially diagnosed but I have been drifting without direction, struggling to find what I am supposed to be doing in life. Meanwhile, hours fly by as I surf the web, flitting from one thing to another, getting absolutely nothing constructive done in a day. Of course there’s all the clutter, chores, things that just need to get done, a giant mountain of must-do’s, that I can’t seem to get started on each day. I appreciate your blog with suggestions that you have found help you. Thanks for being here!